This is a fictional account of a man whose life already reads like fiction. 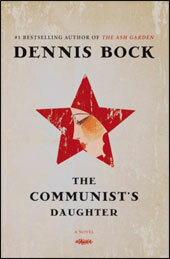 “The Communist’s Daughter” conjures up a daughter Dr. Norman Bethune never had and imagines six envelopes of letters he might have written to this girl in his last days with the sick and dying of the Eighth Route Army in China before he himself got blood poisoning and died. Dennis Bock writes dramatically of Bethune’s trip in l938 by train, foot and mule to join the Red guerillas behind the Japanese lines. He met Mao Tse-tung. He got funds to build a hospital, as well as a portable operating table. He st arted a school for doctors and nurses and wrote medical textbooks at night after operating all day. Even the stoic Chinese had never seen anything like the tireless pace he set. But Bock dwells on the other side of Norman Bethune: the lonely, isolated man who had had trouble with personal relationships all his life. In throwbacks we are told of his harsh Presbyterian pastor father in Ontario whose thrashings he never forgot. When Bethune went to Spain to fight the Fascists, he did brilliant work with a mobile blood transfusion unit which he invented. At the same time he undercut colleagues,who had him shipped back to Canada. Even the mother of his “daughter”, who was an actual person, not a fiction, seems to have been abandoned. Bethune married a Scottish girl, after the First World War, whom he met in London. He divorced her when he got tuberculosis in the U.S. They remarried, but she did not stay. Bethune’s drive was for causes and it cut into any other loyalties. For Canadians it has made him an uncomfortable hero. For the Chinese, however,. he is one of the few Canadians they have ever heard of and they celebrate him at schools, in books, in statues. Bock’s book is 70% fiction. He certainly embellishes Bethune’s already colourful life. I’m not sure he adds much to his emotional stature, but the book does round out this aspect, whether Bethune would have agreed or not.